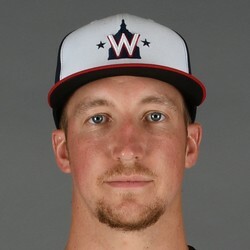 Erick Fedde allowed zero runs on two hits over 5.2 innings in the Nationals' 3-1 win over the Phillies on Tuesday. He struck out nine and walked two. Fedde came through with a dominant performance out of nowhere in this one. He had been getting smashed to the tune of a 6.00 ERA before this game, but lowered that number to 5.12 after this start. Fedde did strike out seven over five innings last time out against the Cardinals, but other than that he hadn't shown much promise. The Nationals have been using a slew of pitchers in the final month and his next start is tentatively scheduled for September 21 against the Mets.